My DJ was born on Thursday, December 15, 2016. I remember like it was just yesterday. It's an experience I'll never forget. My water broke at about 6:00 on Wednesday morning. I was rushed to our local hospital, then transported to Vidant Medical Center in Greenville, NC. I was only 26 weeks, so it was reason to be alarmed. 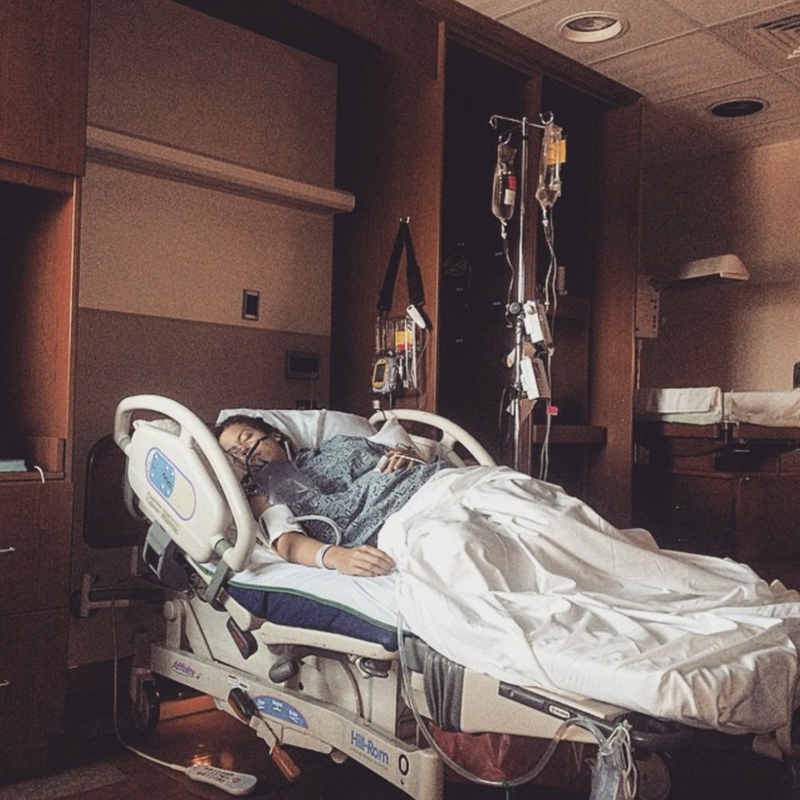 I was bedridden and given procardia to prevent the pre-term labor, but none of it worked. 7:00 am Thursday morning, the labor pains commenced. I could hardly stand it as I frantically paged the nurse. The doctor was called. She checked my cervix. It was time! The delivery was quick yet traumatic. Due to my heart condition, an emergency c-section was scheduled but my baby boy couldn't wait. With oxygen on my face and a needle in my spine, I began to push while sitting upright on the edge of the delivery table. The doctor could see his tiny head crowning and immediately laid me back, asking me to give her one more big push. As I'm pushing, I go completely numb from the spinal anesthesia but I did it! DJ was born at 10:26 am. They held him up for me to see as I cried tears of joy and worry. He wasn't crying at all but his little eyes were wide open as he looked right at me. He was so small and frail but the most beautiful angel I've ever seen. My first child at the age of 40 had arrived and I felt so blessed. After cleaning him up, they allowed me one kiss before placing his tiny body into an incubator and moving him to the neonatal intensive care unit (NICU). My parents caught a glimpse of him in the hallway and smiled with glee to meet their newest grandchild. Meanwhile, I was sent to recovery and wouldn't see my bundle of joy again for several hours. After signing in at the front desk of the NICU, washing our hands (of course), my then husband wheeled me to Pod B where our beloved was waiting. There he was all swaddled up with his sweet little face covered due to the ventilator needed to help him breath. He weighed only 790 grams (1 lb, 12 oz) and 13 inches long, but strong! As I watched our son fighting for his life, I cried and cried. Why did this happen? I greatly assume it was my gestational diabetes or the stress I was under due to a trying later failed marriage. However, I read that there are risk factors for being born early, such as infection, placental problems or genetic problems, but in many cases the cause is unknown. An estimated 15 million babies are born too early every year, That is more than 1 in 10 babies. Wow! I couldn't imagine the arduous journey ahead for my peanut. All the tests, diagnoses, procedures, bradycardias and near fatal incidences that caused such an emotional rollercoaster. Without God, he wouldn't have made it through, and I wouldn't have made it through my postpartum period that was thankfully short-lived. DJ spent four months and one week at James and Connie Maynard Children's Hospital, and I never left his side. I was there every single day for him, enduring the worse and the better times. Thank God for the tremendous support of so many in our corner, including the awesome hospital staff and The Ronald McDonald House of Eastern NC. After leaving the hospital, I became a stay-at-home mom taking care of DJ full-time because he was considered disabled and unable to enroll into daycare. I'm so blessed to be here for every waking moment, watching my son continuing to thrive despite his near fatal illnesses and hospitalizations. I was also blessed with the time to be able to self-publish my first children's book entitled, "The Mighty 1", dedicated to my baby. DJ is now two years strong, weighing 24.5 lbs and 32 inches long. My little soldier is so amazing and I'm beyond blessed to be his mommy. The Mighty 1 is a poetic tale about a brave soul who is tiny but mighty, just like the miracle baby in your life. Every year, millions of babies are born prematurely and many will spend several weeks or months in the neonatal intensive care unit. It's such an emotional journey for families whose lives have changed in an instant. This book was created to bring inspiration and smiles to all of you. It makes a great read for NICU cuddle time, and the perfect keepsake too! Preview and order your copy of "The Mighty 1" now. Was your birth upsetting or traumatic? Do you have more questions about processing your birth and need help healing? Arrange some time to chat with me. I’d love to answer your questions and help you heal and get yourself back - I have a program specifically for you, that can also include this revolutionary and profound natural healing modality called Clarity Breathwork. Helping people heal from birth trauma and other traumatic experiences, emotional pain and inner stress is one of my passions and areas of expertise. I also devoted several sections of my Natural Birth Secrets book on birth trauma in both moms and babies, and also wrote a book called the Trauma Release Formula…both are available on Amazon. Stalking your Instagram and drooling over all things Birth! 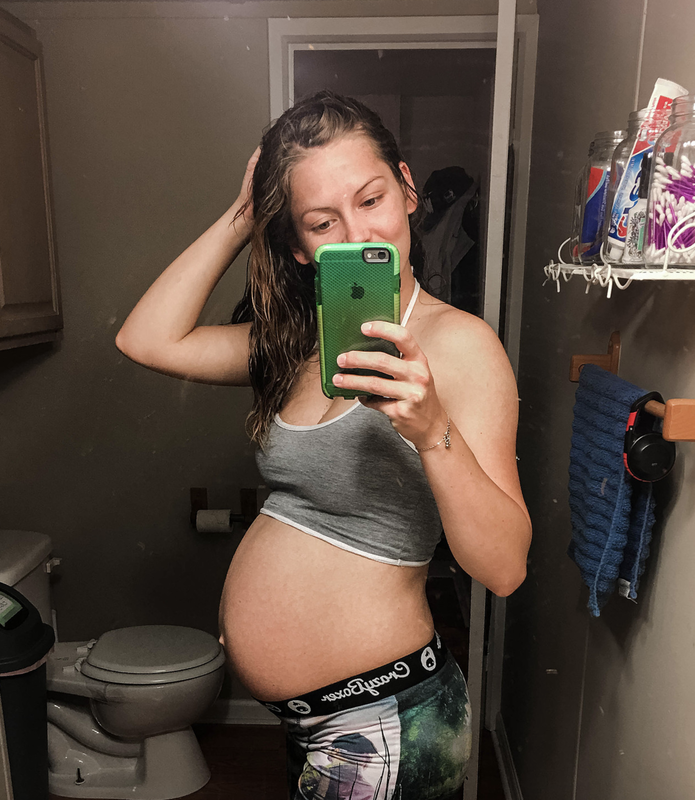 After experiencing a hospital birth and an at home intervention free birth I have such a deeper connection with my body and the things it is capable of. I find myself being in complete awe over what the woman’s body can accomplish by watching, scrolling, and reading stories into the wee hours into the early morning. An indescribable feeling. Those who attended the birth of my first born would tell you it was unforgettable in the worst of ways. Two years ago, I was riding passenger on the way to the hospital to be induced. My husband and I discussed during our drive how delighted we were for our lives to change to a family of three to avoid the anxiety we felt. After a short ride we arrived to small talk and routine work: readying IV's, retrieving a catheter, sterilizing the area, the whole nine. Luckily I was contracting on my own the use of pitocin was unnecessary and went directly to breaking my water. Before leaving my room my doctor quickly questioned me about the need of an epidural. Although my pain was fear driven, I was young and naive, I insisted. Seconds after receiving the epidural I was reaping it's effects. I became so nauseated I couldn't bare to speak. I was begging for relief as they injected a dose of phenergan into my IV. Little did anyone know I was severely allergic to the medicine. I couldn't see. I couldn't talk. I began to black out. I woke up for a split second patting my chest in hopes to convey something was wrong. My nurse was frustrated unaware of the situation she got two inches from my face yelling "USE YOUR WORDS" repeatedly. All I could do was grab her arm with a frail grip before passing out again. My condition was worsening when I awoke for a second time. I remember looking up to my husband holding my hand, telling me it would be okay, as he began to tear. Everyone was being rushed out of the room as a team of doctors scrambled through the door. I didn't know it but my heart rate was dropping. Awake for a third and final time, it was over but now it was time to push. I was exhausted and still confused, I thought the oxygen they had me on was their attempt to put me to sleep. In between surges, with what little energy I had left, I was fighting to remove the mask. Two hours of nodding in and out, I remember asking if it was almost over. Anything that could have gone wrong, did. I was ready to be holding our baby boy. A tiny six pounds and twelve ounces, he was finally here. Relieved we're both okay, I still look back and break a little inside unable to recall the birth of my first child. Once we became pregnant for the second time we knew, wherever we delivered, we would not opt for any interventions. It wasn't until the third trimester we started weighing out our options of where we would welcome our newest addition. I knew I didn't want to be in the same environment I was with my first, scarred from the experience we lived previously. It wasn't until then we discussed a home birth. No pokes and pricks, being in the comfort of home, I wouldn't have to find a sitter for our son, it appeared to be a dream. This is what I wanted. It was a day after my due date when my water broke as I was laying our son down for a nap. I immediately alerted my midwife, Rebekah, who was attending a birth of another mother. I then called out to my husband and informed him we would have a baby soon. We went about the rest of our day normally, trying to do the odds and ends in order to prep our house for birth. I continuously encouraged my husband to get as much rest as possible before going to bed myself. I was filled with mixed emotions as I attempted to close my eyes. Although this was my second birth it was very much my first. I didn't know what to expect as I had no previous experience other than reading what I could online. I woke up early Sunday morning with consistent contractions. I began timing them before I carefully crept out of bed trying not disrupt our son to go wake my husband on the couch. I could tell he had gotten little to no sleep. As I started to explain I needed his help timing my contractions he told me he didn't go to bed until five that morning.. it was three. Nodding in and out we averaged my contractions two minutes apart while lasting thirty five seconds. Keeping my midwife updated she decided it was time to head my way. They arrived just as the sun was making an appearance through the trees. She had brought along some back up, Paige a student midwife, as the rest of her team was still with laboring mother before me. As we got aquatinted my contractions stayed two minutes apart while lengthing in time. I was checked at five centimeters when Rebekah asked if I felt comfortable with her leaving to attend her previous engagement. I gave her the thumbs up as I tried to get comfortable for the labor ahead. I was stretched across the couch when Paige encouraged me to get into a more baby friendly position to help descend him further into the birth canal. I put a pillow under each knee and squatted down while leaning over the seat cushions. I could feel my contractions intensifying as I was overcome by intolerable back pain. My husband would try massage me while Paige squeezed my hips, but it was doing more harm than good. I couldn't be touched. All I wanted to do was lay down. I crawled back up on the couch surrounding myself with pillows in every direction to give my body some ease. With each wave I would reach out to my husband and pull on his shirt until it passed. I had been laboring in the living room for a short couple of hours, since my midwives arrived, when I decided I wanted to try a new method of comfort and relax in a hot bath. Before stepping into the water, Paige checked me in between six and seven centimeters. She called Rebekah to inform her of my progression. Minutes away from reaching her destination she asked if she needed to turn around. Since my dilation appeared slow Rebekah continued on her drive. My son was still asleep in the room next to me when I got into the bath. I immediately turned on the cold water. I was refreshed with the cooling sensation through the marathon my body was running. At this time my contractions were now a minute or more long. The pain I felt in my back had me paralyzed. I could do nothing but scream. I managed to wake our son from the howls I released through each surge. As much as I wanted him there I knew I couldn't comfort him like he wanted me to, so we quickly called for reinforcements. My husband attended to his side while Paige poured water over my forty week belly and reminded me that I could do this. I wasn't in the tub for ten minutes when I told her I needed to push. No one was expecting me progress the way I had. She asked me slightly confused "You need to push or feel like you want to push?" I shouted "HES HERE". Before getting up to notify Rebekah, she wanted me to promise I wouldn't push. I knew it was no promise I could keep. Our son's ride arrived relieving my husband back to his former duty of being by my side. I had one more contraction in the tub when I demanded we make a run for it. I was caught in the hallway by another surge before reaching the couch. Rebekah was too far away. She would never make it back in time. It was just the three of us. With Rebekah absent, my husband and Paige rushed to get everything ready for the arrival of our newest baby boy. I was already pushing as I watched them grab the rest of the necessities. I beared down against Paige who was positioned at my feet. Through all the pain I had felt that morning I was at such peace while pushing. With two more thrusts he was here. I lifted him up to my chest and rubbed my fingers across his face. He had the most perfectly round head and that beautiful burgundy after birth color. My husband cut the cord while I took everything in that I had missed the first time. I finally got the birth I had been longing for. I thanked my body for overcoming my mind and showing me what I was truly capable of. I questioned myself on if I should write my story when I was reminded, I gave birth at home, after a traumatizing first experience, without any interventions, and that itself is a success. I could and I did and this time I remembered. Was your birth upsetting or traumatic? Do you have more questions about processing your birth and need help healing? Arrange some time to chat with me. I’d love to answer your questions and help you heal and get yourself back - I have a program specifically got you, that can also include this revolutionary and last natural healing modality called Clarity Breathwork. Helping women heal from birth trauma is one of my passions and areas of expertise. So is preventing it in the first place. This is why excellent childbirth education is a must, why planning for your birth is so important today, and is a major reason why I created my Love Your Birth course. It is a comprehensive online course that teaches women what they need to know about planning and carrying out the birth that they want in all settings - the hospital, birthing center or at home. It’s a course on how to have a holistic, healthy pregnancy for the body, mind, and soul - and is how I have guided thousands of women and their families in my midwifery practice for over 21 years. It contains a rolodex of my favorite resources with over 200 of the best books, movies and supplies I use personally and professionally with my clients, family & friends. Even diving into a fraction of this list will have you feeling empowered and prepared for conception, pregnancy, postpartum and parenting...It includes resources on improving and even ensuring ensuring healthier pregnancy and birth outcomes than the status quo, and preventing and healing from birth trauma so prevalent in the modern world! Be prepared to do some research on your own, but knowledge restores your power. I also help you prepare your mindset for such a task, to debunk myths, and to reframe any current ideas or conditioning about pregnancy and birth that can use a change in perspective or that are simply incorrect and do serve you. 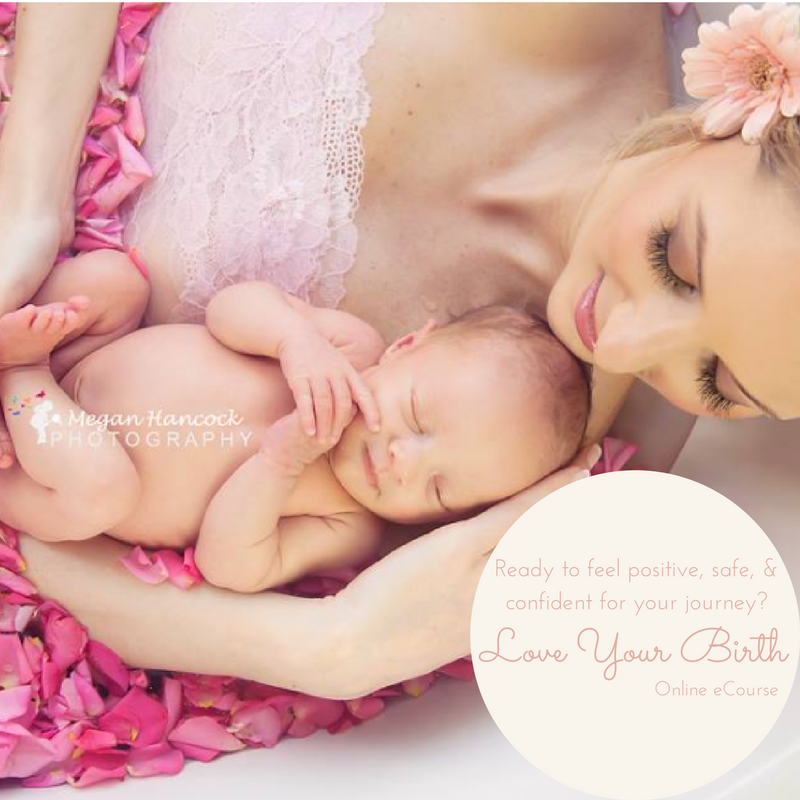 After finishing the course, the idea is that you are now able to create and have the healthy, beautiful and empowering pregnancy and birth that you want - so you can ROCK your birth! It is a course that is recommended by doctors, midwives, and other professionals around the globe! I am finally getting round to putting my birth story on paper, nearly ten weeks later! I have been meaning to of course since the first week that Alex was born, but you know how it is, too much effort and thought having to go into it! 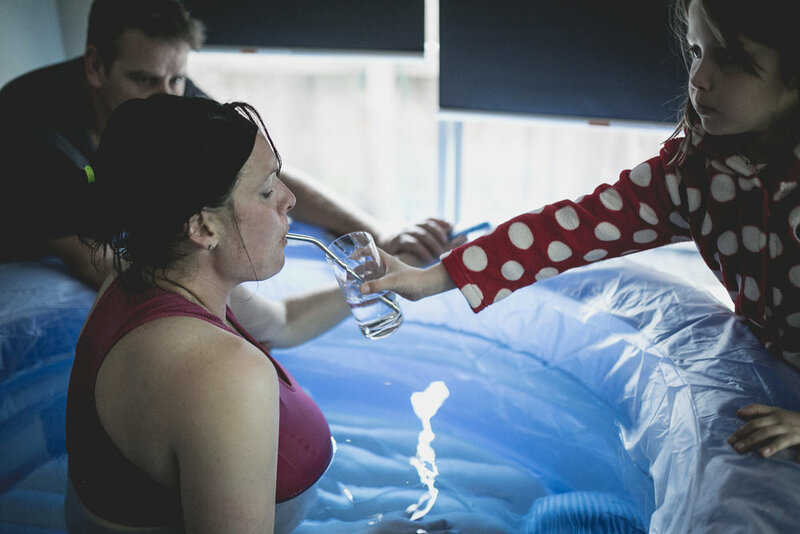 But I have thought enough is enough let’s get it done, as I’m looking through the labour and birth photos and think they are amazing and I am amazing that I finally got my home birth/water birth yay! On Tuesday morning, the 8th August I woke up feeling rather sorry for myself after another sleepless night from pain in my pelvis, heart burn-you name it, but also because I was feeling uncomfortable in my belly that was different from the tightenings that I had been having since the second trimester! We had planned to go out to Rangiora and visit my mum and hang with her as it was Tuesday café day but I said to my daughter Lily-Rose, who is seven and is homeschooled, that lets just stay in bed today and not go anywhere! But I thought if this was early labour starting then the last thing I wanted was to be at home waiting around for something to happen, much better to keep busy; so off we went and over the course of the day I complained to my mum that my tummy was starting to get a few niggles of something, and we had a laugh that I would probably go into labour that night because of all the washing I had drying inside due to the miserable Christchurch weather, and not having a dryer! Or a washing machine!! (as we were still waiting for some of our things to arrive from Australia after moving back home in June to be closer to family while we have this baby). Anyway, nothing much happened over the day but by the time we got home and having dinner I was starting to get irritated with my tightenings which were still spaced apart. I couldn’t even concentrate to watch Game of Thrones with the hubby that night because one- I had to reply to an important email about my exemption to homeschool and they wanted further information which if I didn’t do at that time then I may not ever get it done; and secondly because the tightenings were starting to get more uncomfortable, where I had to start focusing on my breath. I didn’t really say to the hubby and daughter that this was it because it was still early days; and also I knew that my daughter would want to stay up with me as we had been talking about labour and birth for what seemed like forever, watched all the water births on you tube, and had been preparing for the birth together by making the birth mat, and getting the pool ready that week (yes I took a while to get organized because I didn’t feel ready-I definitely wasn’t like with my first when I was ready emotionally long before then!!). Eventually I went to bed as I was so tired, and I started to listen to my Hypnobirthing Australia affirmations and Surge of the Sea track with my ear phones, but lying down trying to sleep wasn’t going to happen so I went out to the lounge where time rushed by and things started to get more intense. I lay down on my side as much as I could and breathed through the tightenings, listening to the hypnobirthing tracks still. 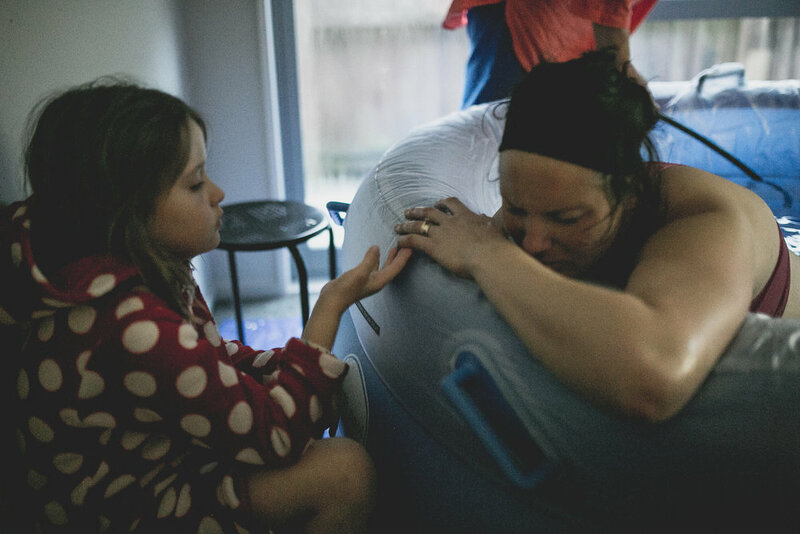 I ended up using the gym ball and hot water bottle to help get me through it, and eventually I felt like I wanted to get into the pool but I didn’t want to get in too early like I did with my first, as was thinking this labour may be long and drawn out like hers was! I texted my midwife sometime after 3am on the Wednesday morning asking her if I should hop into the pool as I was worried that I would get in too early. She then texted back asking me if I was in labour and how far apart the surges were- I replied that yes I am in labour and I hadn’t been keeping track of the tightenings but probably 3-4 in a ten minute period. She then replied that she was coming over. I didn’t want her coming all this way and be in early labour so I said to check me when she got here and if not far along then to go home again. Not that I was being unwelcoming, only that I didn’t want everyone here if it was going to be long and drawn out (thinking it would be like Lily-Rose’s birth). Molly my midwife arrived at 4am, and noted that I was in labour and that I didn’t need to be examined as I was going to have this baby at some stage, and encouraged hubby Clay to fill the pool up. I still insisted on an internal and I was 9cm!!!!! I caught on to her feelings of panic? Maybe it was fluster? Anyway it was then that I thought holy moley I really am having a baby, and texted my mum, student midwife Catherine and birth photographer Sharon that it was time to come over. Molly had already rang her back up midwife, and Sharon by the time I came back out to the lounge where the pool was filling thanks to hubby. I decided to stay out in lounge but I only had my affirmations on in one ear, once back up midwife Tamara arrived at nearly half four I was starting to feel like I was getting out of my “zone”. I hopped into the pool but was unable to really hear my birth tracks via the laptop, as I didn’t want my phone to accidentally fall into the pool! By the time 5am arrived, everyone was here that needed to be here. Baby’s heart rate increased to 170 while I was in the pool because it was super hot and I was super hot so it was time to hop out for a bit, I stayed in the lounge and we rang my sister via messenger video and she supported me this way for a bit but I felt like everything had stalled even though I was still getting regular and intense tightenings, there was so much pressure and I begged Molly to break my waters, (as a midwife myself I would recommend avoiding interventions but I was desperate and knew that if this happened then I might have a baby sooner!!!). She declined to do this! I hid out in my room for a bit and it was then that I should have started getting in my zone again listening to my affirmations but for some reason I thought that would be anti-social (note to self-don’t worry about pleasing anyone when your in labour!!) so I didn’t end up really listening to them again, which was silly as it was that which helped me get to 9cm in the first place! I requested Molly to do another internal at about 6am because come on yes I was getting impatient, it had been two hours since I was 9cm and where was this baby?! I still had a bit of cervix in the way and that it would go, Molly reassured me that all was ok and to carry on! Carry on! By this stage I said to my mum, I am going to hospital if something doesn’t happen soon! I guess you could say I had had enough!! By 7am I had convinced Molly to break my waters, which she did thank goodness as I was ready for that epidural! She pushed the bit of cervix out of the way with the next contraction and I felt baby move down which is when I started to feel like I was losing control, and started freaking out! And making a lot of noise, which worried my daughter! Molly convinced me to hop back into the pool but I was feeling like I didn’t want to move really at all! But thankfully she convinced me and it was amazing enveloped by such warmth, but pity I was having shooting sciatica-type pains down my thighs each tightening which was not ideal! I was on my knees using the side of the pool and hubby’s hand to get me through each tightening. My sister Agatha in Australia was called again at this time and the phone set up next to the pool, her voice helped ground me and she talked me through it as I started to bear baby down (she’s done this eight times so I knew she completely understood the feelings of panic that I was having!). With my first I didn’t get to experience what pushing a baby out felt like due to a spinal and an assisted birth, so what a shock it was when I felt baby’s head moving down, I was trying to breathe through and be nice and quiet but I didn’t care anymore and why was this baby taking so long to come out!!! Once I focused on moving baby down with my breath and bearing down (as taught in the Hypnobubs online Hypnobirthing Australia course), then it wasn’t long until crowning and oh my goodness now I know what that feels like I will never forget it!!! Once baby’s head had been out for a few minutes Molly said it was time to push the body out but I couldn’t and I told her it was stuck! Once she got right inside and unhooked his shoulder from under my pubic bone, I had a surge of adrenaline shoot through me as I realized that this was shoulder dystocia and was potentially life threatening situation for my baby. My calm and experienced midwife got baby out and I rolled over to sit in the water and there I saw my baby, mum had voiced out that it was a boy! A boy! But at that point I was super relieved that he was out, that he was crying and it was all over!!! Born at 8.03 am, four hours after being 9cm!!! Molly knew about my previous postpartum hemorrhage so I didn’t stay in the pool for too long, and I was helped out, pushed the placenta out but with lots of clots and walked over to the couch (the joys of being at home! ), where my bleeding was monitored, but ended up agreeing that I needed to have oxytocin needle into my thigh to control my moderate bleeding. Cord was cut by his daddy, and me and my baby boy Alexander (named after my dad) had skin to skin, then the first breastfeed where he latched like a gem 30 minutes after birth. I ended up having a 2nd degree tear that Molly sutured, yes I didn’t have to go anywhere but just stay in my lounge! Had a cup of my Artemis Pregnancy tea which is good for postnatal as well, and munched on an apple, I was happy it was all over and that I got to stay in my house with everyone around me. Thankful for my mum and sister that were there, my hubby of course, my wonderful birth photographer Sharon from Bloom Photography NZ, my midwife Molly for being so chilled, and Tamara and Catherine. And especially to my darling daughter who kept me hydrated with water, and who said to anyone and everyone afterwards about how much noise I made and that I owed her $2.50 for the swearing I used (20cents per swear word apparently!). You are 22 hours old. You are slumbering next to me on the bed. You are a little miracle and a little marvel. I am relishing this time. Midwife Anne has banished me from stairs, and I am glad. We spent the day in bed together, you and I, and will do the same tomorrow. What a gift. Your arrival was not so different from what I imagined and hoped for. Still it is a miracle! Your big sister Elaine June arrived two weeks after her estimated due date. So I did not expect you to come on yours. Still, one gets antsy. The days rolled by. Anyway, on Monday night, I got out my cello. We stretched around it together, you huddled in front of course, and I played "Happy Birthday" to give you the idea, and some Bach suites, and "The Swan," then "Happy Birthday" again before I put it away. Tuesday went by with more “no baby yet” comments from one and all. On Wednesday night EJ said, “I want Boop to be born on Thursday!” I agreed. I told Dave, and felt hopeful. But I was well aware that some women have contractions for days before their babe is born. At 7:30 a.m. I realized that your Grandma Sheena was about to leave for work. I called her off, even though I wasn't sure this was the day. She commenced to work from home. The contractions slowed. Dave went to work; I took EJ to school. The pains returned and were somewhat regular, though, every 20 minutes or so. I left a message for Anne, and called Sheena with a disappointing “no news yet” message. Back at the farm I went on a walk, and the contractions slowed down. It was a nice walk up past the pump house and around to the garden where I pulled a few weeds with the crew. I finally saw the log cabin. I returned and called Sheena again with more non-news. Dave came home early from work. We had an appointment with Anne, set for 1 p.m. I didn't want to drive there myself so long after the due date, especially with contractions! In fact I hoped we'd soon be birthing at home. But the contractions kept petering out, only to come back after a while, only to slow down again. Nothing seemed certain. Your dad and I picked EJ up from preschool and she ate a packed lunch by the gazebo on the river. The contractions were back, and fairly regularly so, 10-15 minutes apart. I spoke with Anne and all agreed that we should head home. I looked at my early labor list...made a frittata, moved some stuff around, and wondered when I should call Jean (your Grandma Sheena) to come be with EJ. We didn't want a crowd here waiting for things to get moving, as that would surely slow it all down. But the contractions started to be dependable. We called Jean around 2:45 p.m.
Grandma Sheena was here by 4 p.m. and took EJ down to the lake. We were timing my contractions, which were coming 7 minutes apart, then 5, then 7. Anne said she'd like to be heading here when they were 4-6 minutes apart, but she could come anytime. Dave and I were torn: we didn't want a house full of folks just waiting too soon...a watched pot doesn't boil! But our friends had just had an accidental unassisted birth since it went so fast! The contractions got closer together, and Anne was on her way. Then, of course, the contractions slowed, 6-12 minutes apart. Nancy, Anne's assistant and a wonderful doula, arrived and suggested a long walk. EJ and Sheena came up from the lake, and got ready for yogurt and a bath. I don't know if she ever ate dinner! Anne came, and your dad and I left. Up around the farm we walked, through the gardens and the flower area. I had to tell your dad not to pull weeds. We'd stop now and then when I had a contraction, though they did seem further apart. As we descended the hill, there were dark clouds and Dave wanted to hurry. Um, no, I could not hurry! The contractions, though spaced out more, were starting to really hurt. We got home and EJ was excited. I set up a bed on the couch for her and Sheena. EJ wanted my attention and I was trying to give it to her, but the contractions were regular now, and hurting more and more. A movie distracted EJ. I finally realized I needed to settle in upstairs. The contractions were closer and more painful but I had yet to have the bloody show or broken water or anything that felt productive. I called Dave at last and moved onto my knees in the bedroom. (I had been pacing the hall, and swaying low with the contractions.) Finally I peed and found some bloody mucous. I don't think it was long after that, that I started pushing, and soon enough the water broke. I was glad things were moving on. Nancy kept checking your heartbeat; it was always good and strong. Thank you for reassuring me, sweet James! Oh, my, I certainly had forgotten the pain! Through each contraction I would remember: breathe low and slow through the pain, stay loose and open, and—the hard one for me—do nothing extra. It took a long time for me to give in and Do Nothing Extra. Between each contraction I wanted to give directions on where to find things, what I wanted to drink, that I didn't care if the yoga mat got bloody, etc. At least, before I finally got myself to shut up, I was able to tell Nancy where to find an empty trash can, as I sensed that I was going to puke. They suggested the green bowl I had there for the placenta. But it's so dear to me and I didn't want to throw up in it! Nancy came through, transition came on, I threw up, and at last realized that I had to stop talking and save every ounce of energy to push you out. It was agony for a while. 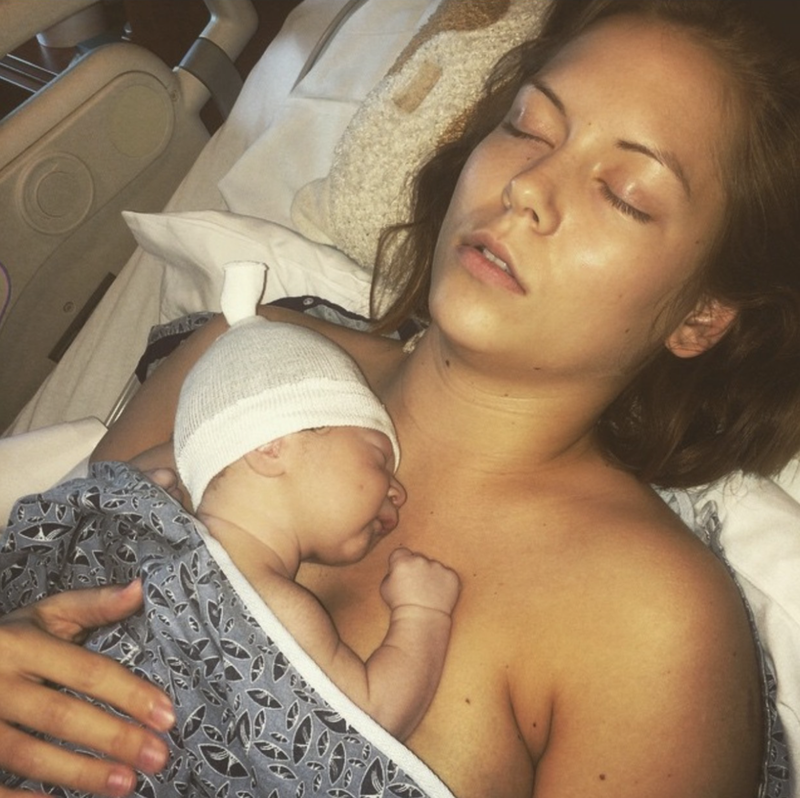 But I pushed with all my might, knowing that I had prolonged EJ's birth by pushing with half-strength for hours. During those most painful contractions I shuddered and moaned, I prayed, and I begged you to please come down, Baby Boop, please come down now. Anne said she enjoyed hearing the horses and sounds of the farm as I labored. I heard nothing, only felt as you slowly descended. 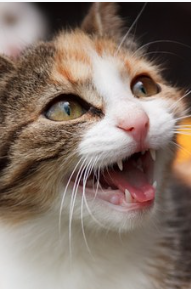 All of this time, on my knees, I was squeezing and clawing your dear Dad. He managed to hold my hands, hold a hot water bottle on my back, and massage me all at once, or so it seemed. Anne and Nancy massaged too; it felt so good and eased some of the pain. You were low; it was time to wake EJ. I heard her crying before Sheena brought her in. I couldn't talk. She came in crying for me, wanting to snuggle and hold my hair. After trying to calm her, Sheena took her away. Anne said “you can't force these things” and I knew she was right. All along I had known it might not work to have your sister there. I was sad, but I knew I had to let that go and move on and get you born, dear James! The door opened, and Sheena came in, carrying a quiet Elaine June. Dave opened his arms and she crawled in. I even managed, between pains, to tell her I was so glad she was here. So glad, so grateful! She watched, quietly, with the occasional “I love you Mommy, you can do it Mommy” escaping her thumb-stuffed mouth. I was still on my knees. Anne passed you in between my legs and I carefully picked up wonderful, slimy you. I thought you were a boy, and checked to be sure. Then I said “it's James Barry Llewellyn!” and held you for your Daddy, sister, and grandma to see. And I held you to me. I felt very unsteady and shivery, and wanted to birth the placenta. Anne and Nancy had me lay down and I held you to my chest, baby boy. The placenta came and Anne asked who wanted to cut the cord. I knew your dad didn't. I asked Sheena, and she and Anne asked if EJ wanted to. She did. Dave asked me, “are you sure?” I said, “she loves scissors!” Anne helped your proud big sister cut the cord. You latched on a little but were really just exploring. We had to get up. Nancy helped keep me steady for a short shower. As I left, I heard your Daddy say, “he has the beginnings of a beak!”, then he and Sheena discussing your Morrison nose! I went to bed and you were brought to me, dear Baby James. Such a marvel! Such tiny apricot ears and long wrinkly fingers...you were just inside of me, and now here you were!!! Your fingernails were like daggers, we'd have to clip them soon. Your fingers were so dinosaur like—wide at the bottom and pointy at the top, wrinkly and peely. You latched on. Anne stitched me and cleaned me up some more. As she did I held you under a towel. When it was lifted it revealed what Nancy said was the biggest meconium poop she'd ever seen! We laughed briefly about James and The Giant Poop, while Nancy patiently and tirelessly cleaned us both. Your sister came to bed -- “I want to kiss my baby brother! I want Boop!” she said. We told her she had to be gentle on the bed. She was. She kissed you, and has been kissing you ever since. We said goodnight to her many, many times. Sheena kept bringing her down with the ploy of a movie. But that didn't hold. After 10 or 20 minutes we'd hear thumpthumpthump “I want my baby brother!” and she'd come up, climb on the bed, and kiss you and pat you and call you Baby Boop, Baby Brother, Baby James, and kiss you some more. That night she gave you her wee stuffed rooster that she had chosen for you before you were born. It's been your companion ever since. Now you are 8 days old. The day after your birth Granny Annie and Aunt Suzanne came to meet you. We all marveled at your purple, waxy peely feet and hands, your dear little ears, your masculine nose. “His nose has salt on it!” proclaimed EJ, seeing the little white hormone zits. I think her favorite Baby James miracle is that even your big toes are little; she mentions it daily. 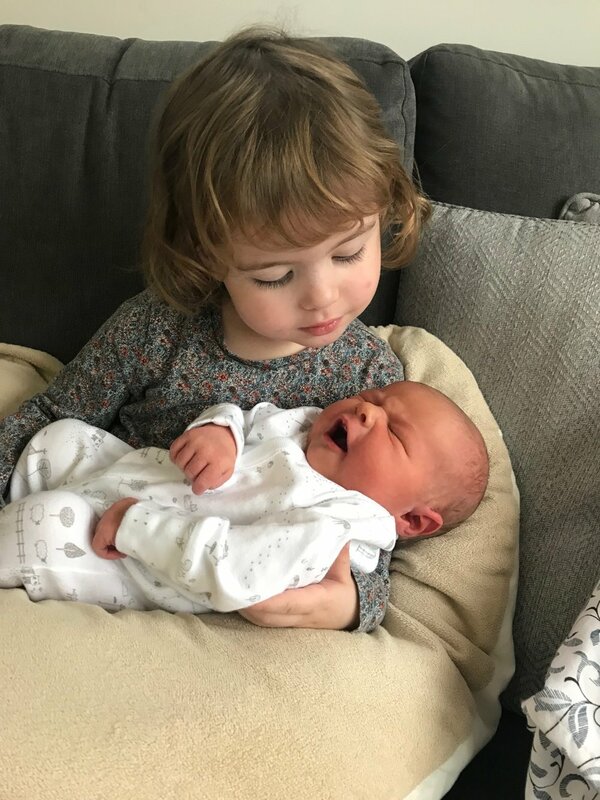 She calls you Baby Brother, Baby James, Boop, JamesBarryLlewellyn, JamesyJames, JamesyWamesy, and, most of all, Cute, as a name. “I'm going to call him Cute, because he's cute.” “I want to kiss Cute!” She comforts you when I change your diapers, loves to hold you and kiss you and pat you. She brings me water when I nurse and a burp cloth when you're done eating. She is constantly talking about when she's older and what she'll do with you, just you: “When I'm thirteen and a half I can take Cute to Big Truck Day all by myself!”, etc and so on. When Elaine June is asked about your birth, she tells people three things: she watched movies all night, she saw you born, and she got to cut the cord. Between movies on your birthday night, your dad helped Elaine June and Sheena blow up blue balloons and put them under the frog outside, so everyone coming to the farm on Friday would know you were here. That first day we just stared and stared at you. Dave was bemused that, like me, youbarely have any eyebrows—no hint of his uni-brow. (“You'd think that would be dominant”, said he.) I kept wondering how you could be so frog-like and yet so furry, all at the same time. Your frogginess faded in just a few days as you slowly uncurled into our world. Now you are peeling off the waxy layer left from inside of me, ever expanding. You are still so sweetly soft and fuzzy; Daddy calls you James the Giant Peach. Every day you change and grow. You were born on Thursday night. Friday EJ slept at Sheena and Poppy's. Saturday I was nervous about when she'd crawl in bed with us and what would transpire. But then, and each night since, it's been fine. I got up to pee that night, and when I came back, I saw three dear souls, all curled in their own way on our bed. Between you and EJ there was an empty space just for me, the missing piece in our family slumber puzzle. Such a sweet, blessed gift. You sleep most of the time, these days. You've been merciful at night and somehow seem patient even when poopy or hungry. If a cry can seem polite, yours does. When you awake, your Daddy and EJ and I look at you and talk to you and marvel and wonderful, captivating you. You do seem to smile. You are strong, lifting your head and even pushing up from your belly. Both Anne and the pediatrician have proclaimed you “perfect”, which of course we knew already. We welcome you, we celebrate you, we thank God for you, Baby James, and we love you with all our hearts.